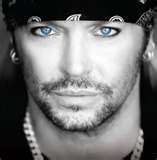 Of course I can’t let this day go by without wishing Bret a wonderfully happy birthday! You are my mentor, my hero, my inspiration and shining light. Rock on, my dear, rock on!